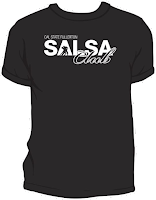 Whether you are a club parent, club alumni, community member, or a salsa fanatic, your support can play a powerful role to the CSUF Salsa Club Program. Your financial support can assist our program in areas such as equipment purchases, event and workshop costs, facility rentals, awards, and much more. We appreciate everyone who supports us, and we put every dollar given to us to the best possible use. 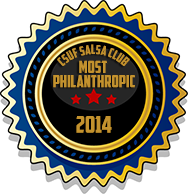 Support the club by donating your time, offering your services or goods, participating in recruitment, posting flyers, or just by dancing. 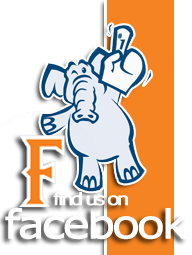 We have lots of fun activities offered or you can take charge in a committee and/or pad your resume. Click here to sign up. Gifts of cash, check or credit cards are welcome. 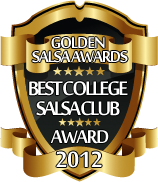 Please make checks payable to CSUF Salsa Club. 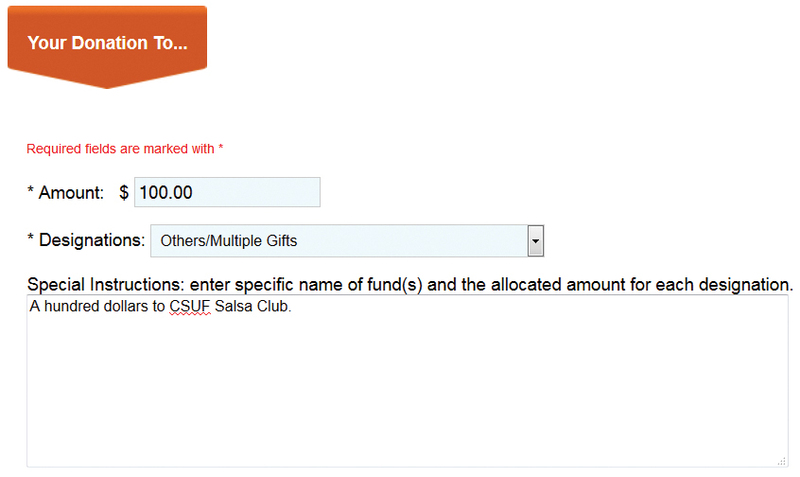 Giving to CSUF Salsa Club has never been easier via our Cal State University, Fullerton secure server. Click here to give online. We can accept certain gifts and services that would reduce expenses. These are subject to campus approval and IRS regulations.